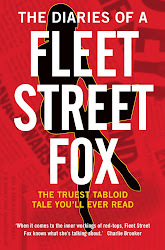 fleet street fox: Change the blame. IT is a rule of modern human existence that if there is something you don't like, you must blame someone for it. There is no thought that the thing you don't like might be a source of joy to others, or that you might be in the wrong. Nor do people stop to think that if they don't like something they ought to do something to change it. No, it's just pointing the finger, usually while sitting down. Hence racing presenter John McCririck blames ageism for his contract not being renewed by Channel 4, which he intends to sue for £3m. It's why we have Silvio Berlusconi blaming "feminists and communists" for the fact he has to pay his ex-wife alimony, why freak weather is being blamed in Australia for bush fires and in Britain for it being a bit chilly. 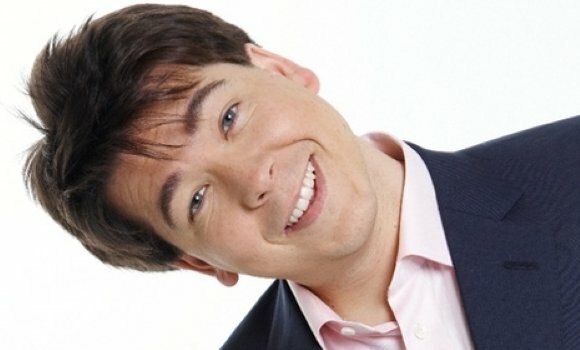 The French are blaming us for a lack of scallops, Tories and Labour are blaming each other for the economic crisis, everyone's blaming Nick Clegg for something and for some reason the only person to escape is Michael McIntyre, who's made £21m out of being bland and is therefore somehow blamed by edgy comedians for being too blameless. It surely can't be long until someone blames Andrew Marr's stroke on his failed super-injunction, interrogating politicians about their medical history, or the ears. Well, we've had quite enough of that. It's a fruitless, miserable way to go on for the simple reason that it doesn't make the least bit of difference. Finger pointing gets dismissed a politics, or scare-mongering, or stupidity, and no-one bothers to look at the real reason these things happen and then figure out how to avoid or get used to it next time. So, John McCririck blames ageism for losing his job. Seeing as it's television and a lot of it depends on being pleasant, the chances are he's lost it because he's an unapologetic pillock with the habits of a farmyard animal and probably the body odour to suit. He refers to his wife as The Booby and the only thing of note he seems to have done is irritate Edwina Currie. In a showbiz world where image is everything, this fat bemoobed misogynist could only ever lose out to Olympic national treasure Clare Balding. If he wants to blame someone for the end of his career, he should start with whichever idiot thought it was a good idea to show us the real McCririck on Celebrity Big Brother. 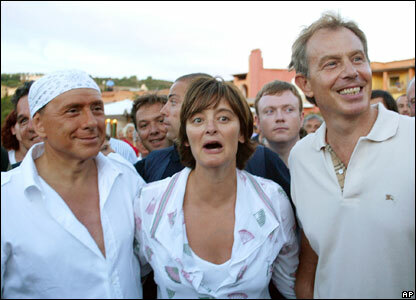 There are many things Silvio Berlusconi can blame other people for, not least his bandana advisor, but if he's wondering who's at fault for having to fork out £29m a year to his ex-wife he needs to have a long talk with his crotch. Hopefully his man junk will have enough residual sense to point out that, as a man worth £5bn whose wife of 11 years is mother to three of his children, he should count himself lucky not to have lost half of everything. Seeing as many people in his life apparently need paying to endure his company he probably ought to try psychotherapy, and steer clear of the Blairs. Now to Australia. 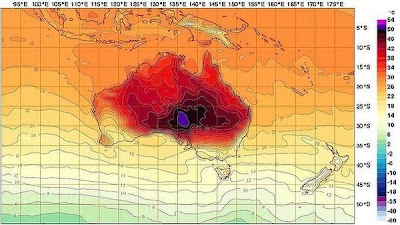 For the first time weather maps have needed new colours to show temperatures of more than 50 degrees, which have contributed to the bush fires being so widespread and vicious this year. But you know what? There'd be fires without the freak weather, because this is AUSTRALIA. Bush fires are a natural phenomenon to which its wildlife has not only adapted but now finds vital, and the only shocking bit about it is that humans are surprised by them every year. If terrifying fires jumping between tree tops and rampaging across miles of countryside are not your thing, move. As for worry about Snowmageddon bringing Britain to its knees - it's JANUARY. It's supposed to be cold. I know we all like discussing the weather because it's much more interesting and do-able than emotions, but in all honesty it will be worth mentioning only when Hogmanay is as hot as hell, and not before. Next time somebody says "Well, I blame..." or "it's all because of..." listen with both ears rather than just one, and you'll probably notice they're pointing the finger at something which they are incapable of changing. The weather, politics, the bleeding obvious. They do it because not changing anything thus becomes a reasonable response to a problem, exonerating all of us from having to get off the arses we're sat on while we apportion blame like slices of cake. Imagine what we could apportion, and achieve, if we blamed the things we could do something about. Why, all humans would live in places protected from flood and fire, the economy might actually get fixed by someone, John McCririck would go away and Nick Clegg's onesie would be burned in a wicker man. Humanity might just become a slightly more productive and less idiotic species as well.